What do you do when you have buttermilk that's almost at its expiry date and a busted oven? Make pancakes, of course. For dinner! For a long time I though I'd never find a recipe to replace Country Inn Pancakes. This made me sad because although CIP provide one hell of a buttervanillanutmeggasm, they are bound to eventually leave their mark in the form of a dimply bum. Needless to say, I was pretty happy when I stumbled upon this recipe and could use up the buttermilk and consume pancakes with less waistline expansion. They lack the CIP fluff, but make up for it with being incredibly soft and almost crepe-like. They're a bit like a pancake-crepe hybrid, actually. The original recipe calls for regular old white flour, but I used whole wheat instead and they still turned out delicious. Combine dry ingredients in a bowl: flour, sugar, baking powder, baking soda, and salt. In a 4 cup measuring glass, combine liquid ingredients: buttermilk, eggs, and oil. Stir to combine. Stir wet ingredients into dry, mixing well. Heat a large, heavy skillet or griddle over medium heat. It is always better to go too low than too high with pancakes. Once hot, brush the surface of the griddle with melted butter or oil. Pour 1/4 cup of pancake batter over greased spot. Add a few blueberries or chocolate chips to the wet pancake and cook until the edges are set and bubbles form on the surface of the pancake. Flip pancake and cook the other side until golden brown. 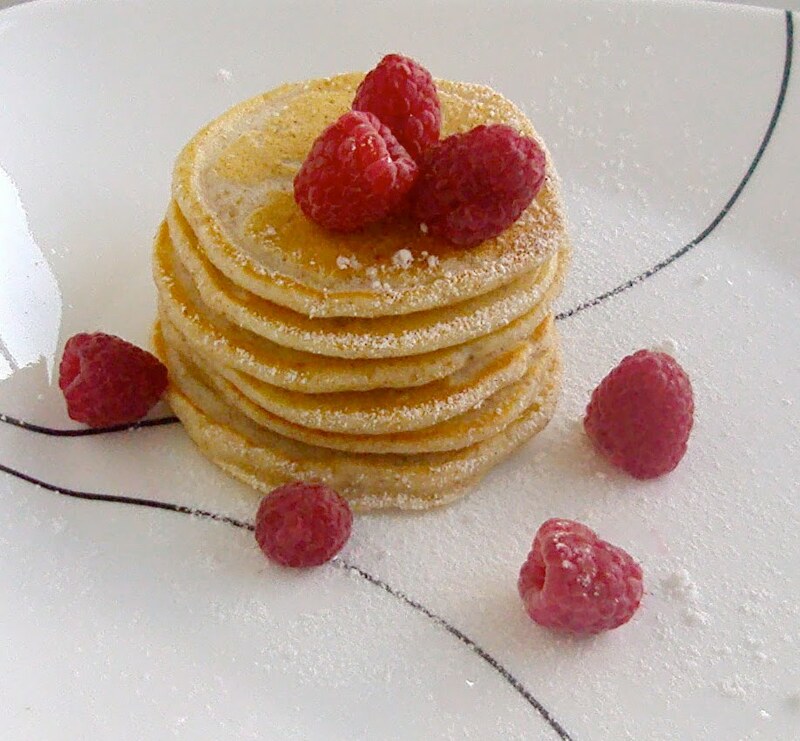 You can keep stacked pancakes warm in a low oven until ready to serve.